Pre-planted roses, shrubs and trees in the Garden of Remembrance can be dedicated with a cast bronze plaque. The plaques are displayed for 5 or 10 years initially, and can then be renewed for further periods of 5 years. If you would like to adopt a plant please fill out our online form and a member of staff will contact you. 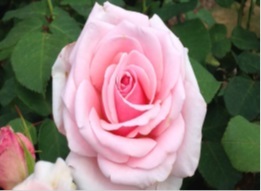 Initial prices for a shrub or rose start at £405 for an adoption period of 5 years or £620 for 10 years with a plaque containing spacing for 60 characters. Trees are available for adoption for an initial period of 5 years for £445 or £685 for a 10 year period. A larger plaque with spacing for 90 characters can also be purchased for an extra £65 or with a photo included for an extra £150.